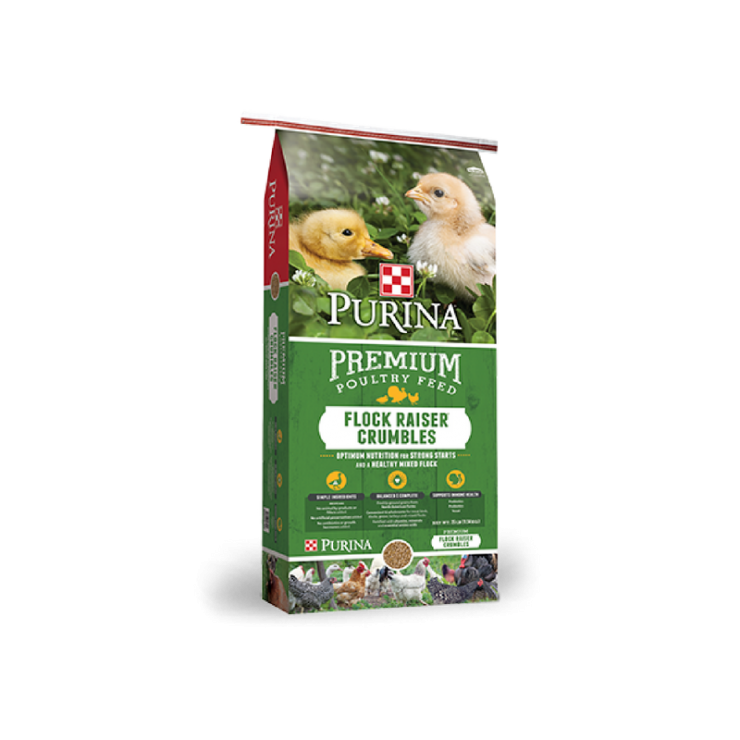 Purina Flock Raiser is a 20%-protein nutrient-rich ration that provides starting, growing and finishing nutrition for broiler/meat bird or a mixed flock of chickens, ducks and geese from hatch until laying age (18-20 weeks chickens, 20-24 weeks ducks; geese start laying the spring after they were hatched) and for turkeys from 8-10 weeks until laying age of 30-32 weeks. Optimum nutrition for healthy meat birds and mixed poultry flocks. Formulated with prebiotics and probiotics to support optimum digestive health and immune function. Also available as a medicated feed with Amprolium(a coccidiostat).